New in this pretty vintage Louis Vuitton make up bag. Curious where I found this vintage treasure for the best price? Well on my new number one search website; stylelounge.nl It's an website (for him and her) where you can find fashion for the best price. Stylelounge.nl provides you a wide and versatile range of brands and shops. You can easily enter the product of your choice and then you can choose the color that you want and choose the price that you want to pay. If you already have a favorite store or brand - you can select it directly. Stylelounge gives you an overview of all the products you apply. You can shop around easily in different stores and suddenly bump into fashion items you probably would not have found without the website. 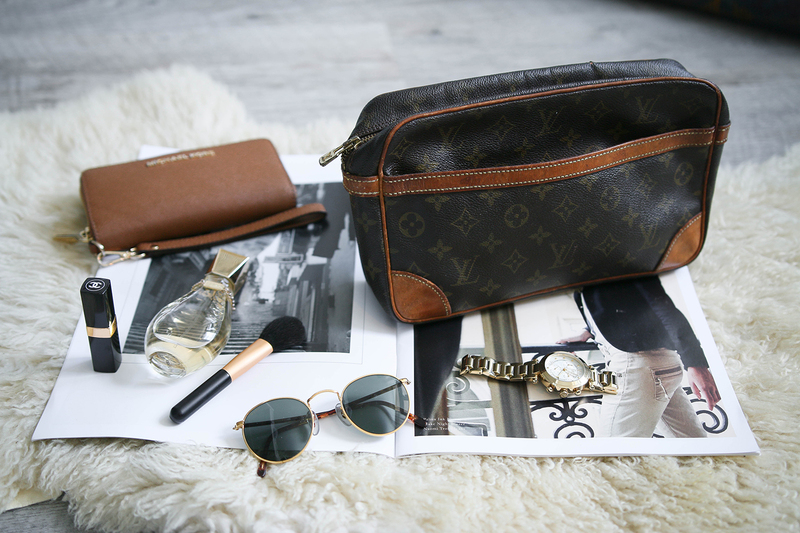 For example my vintage Louis Vuitton bag. What I love the most about this website is that you also find brands that you maybe not will check out regularly. For example I also found a great top by Supertrash however I normally never visit the website because it's not my kind of brand. So without Stylelounge.nl I would never have seen the cool top. Thank you so much for sharing, found my new obsession..